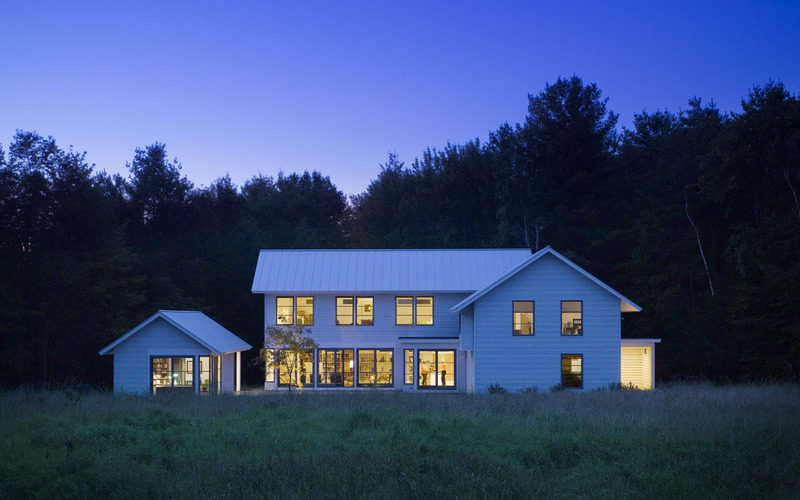 This residence in Jericho, Vermont is positioned on the north end of a small meadow and is enveloped by a forest on the cool, northern edge. The site concept utilizes a modest area of the meadow as the domain of the residence and a concrete retaining wall divides the domestic from the natural landscape. 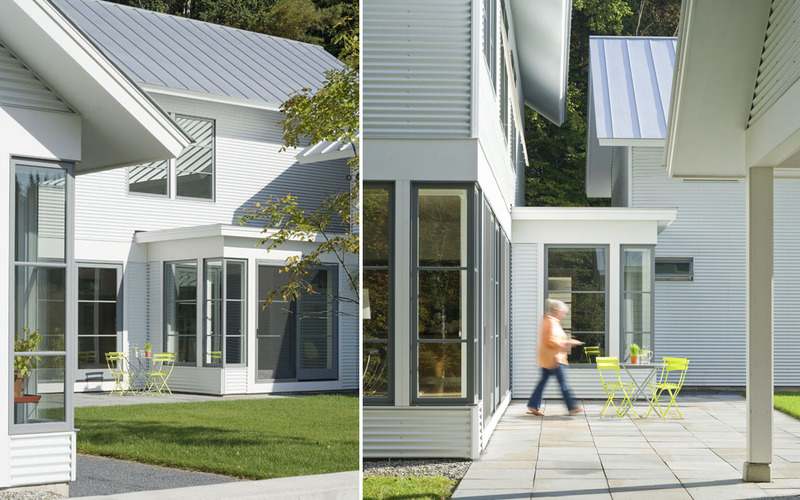 Much like the extended rural farmhouses found in many parts of New England, the home has three distinct building parts arranged around a formal lawn. 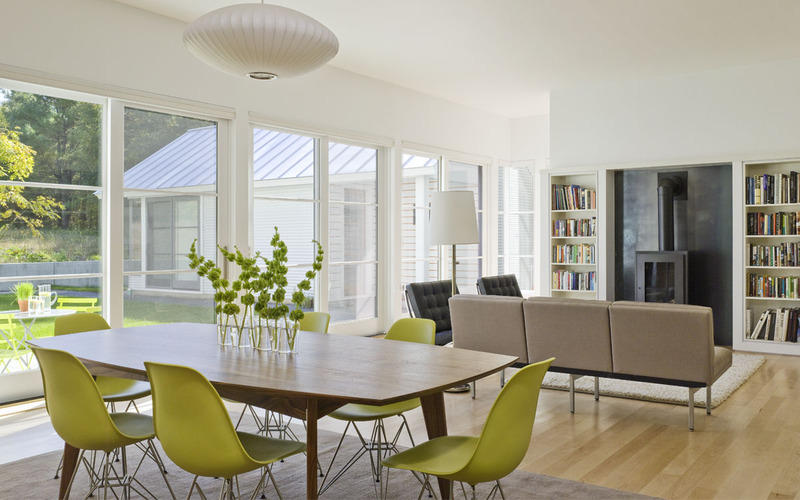 The goal for TruexCullins was to create a home that honored the traditions of building in New England while respecting those traditions without mimicry. The forms and building configuration, while recognizable, utilize contemporary, efficient building materials and methods that are economical and environmentally efficient.